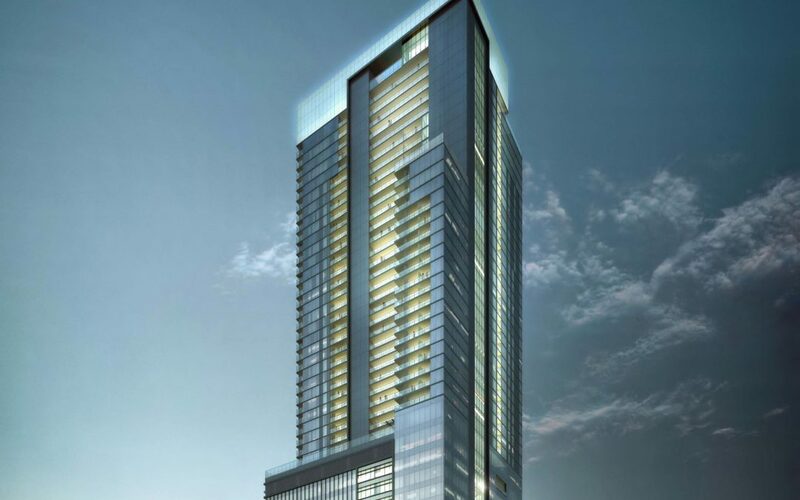 Renderings emerged Friday of a skyscraper proposed for 600 Guadalupe St. in downtown Austin. Planned to soar more than 60 stories high — perhaps up to 75 — it would be by far the tallest building in the city. The Lynd Co. of San Antonio and Lincoln Property Co. want to build the mixed-use high-rise on the site of an Extended Stay America hotel, the Austin American-Statesman reports. They plan for 62 stories rising 850 feet, although it could go even higher — into the mid-70 for stories, Lynd CEO Michael Lynd Jr. told the newspaper. That would be taller than the 56-story Austonian condo tower at 683 feet tall and The Independent, a 58-story condo tower being built at 801 W. Fifth St., which is set to rise 685 feet. Lynd told the Statesman that the development partnership aims to build “an iconic tower.” The design is by Gensler Austin. The skyscraper would have more than 500,000 square feet of office space and 300-plus luxury apartments, plus ground-floor retail, according to the Statesman. The developers plan to file site plans soon and begin construction within nine to 12 months, wrapping up within four years, the Statesman reports. Check out pictures and the full story by Will Anderson of the Austin Business Journal. © LPC Austin. All rights reserved.